What is your ideal mascara? Is it one that adds a ton of volume? One that can lengthen your lashes? One that's long lasting and smudge proof? Mine would be one that can add volume, lengthen the lashes, hold the curls, provide great lasting power, and is smudge proof. That might sound like a lot, but we are talking about ideals here and those are my criteria for the perfect mascara. However, finding the perfect mascara is hard, so I also set my criteria for my would be deal breakers which are that it can't hold a curl, isn't volumizing, and it's not long lasting. That's not asking a lot now is it? But you'd be surprised to learn just how many mascaras can't even pass that test. 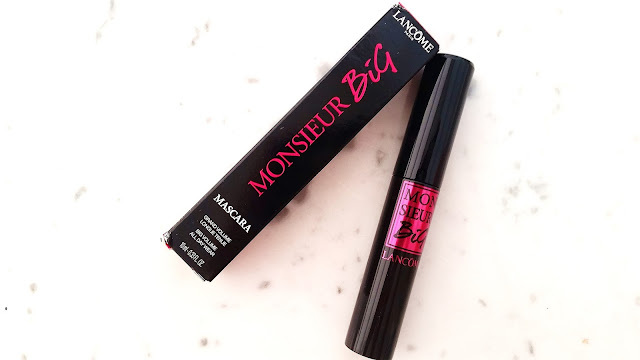 I'm constantly trying out mascaras in hopes of finding my ideal and this time I had the opportunity to test out Lancome's new Monsieur Big Volumizing Mascara thanks to Influenster. For those who might not have heard about them, Influenster is an online savvy shoppers community. It offers reviews for products shared by its users like myself. 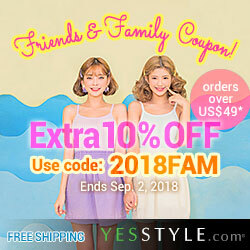 It shares the latest trends and releases. Plus, it also offers the opportunities to test out products for free. Which is how I got this and 2 other Lancome samples (that you'll see later on) to test and review. Influenster has been around for ages, so they are definitely trust worthy. You can find reviews of pretty much everything on Influenster. From pet accessories to food and beverages, it's like a massive review community with the perk of potentially getting freebies while you are at it. You can learn more about them on their site but for now let's get to know these goodies from Lancome. Product Description: Lancome's Monsieur Big is a volumizing mascara that delivers bold, volumized lashes. It features a large brush with a creamy formula that can deliver up to 12 times the volume with up to 24 hours of wear. Its formula is supplemented with waxes and polymers to adhere nicely on your lashes as it builds up length and volume at the same time. Its wand features soft and wavy fibers to apply the right amount of formula each time. This mascara is idea for all day wear as it doesn't flake or smudge. To Use: Curl your eye lashes first. Apply mascara primer and let dry. Apply the mascara from root to tip. Layer if desired. Ingredients: Water, Paraffin, Potassium Cetyl Phosphate, Copernicia Cerifera Cera / Carnauba Wax, Ethylene/Acrylic Acid Copolymer, Styrene/Acrylates/Ammonium Methacrylate Copolymer, Cera Alba / Beeswax, Synthetic Beeswax, Bis-Diglyceryl Polyacyladipate-2, Polybutene, Cetyl Alcohol, Steareth-20, Glyceryl Dibehenate, Steareth-2,C12-13 Pareth-23, C12-13 Pareth-3, Tribehenin, Acacia Senegal Gum, Glyceryl Behenate, Sodium Laureth Sulfate, Silica, Divinyldimethicone/Dimethicone Copolymer, Disodium Edta, Hydrogenated Jojoba Oil, Hydrogenated Palm Oil, Hydroxyethylcellulose, Caprylyl Glycol, Tetrasodium Edta, Ethylenediamine/Stearyl Dimer Dilinoleate Copolymer, Butylene Glycol, Bht, Pentaerythrityl Tetra-Di-T-Butyl Hydroxyhydrocinnamate, Potassium Sorbate, Sodium Dehydroacetate, Phenoxyethanol, [+/- May Contain, Ci 75470 / Carmine, Ci 77007 / Ultramarines,Ci 77491, Ci 77492, Ci 77499 / Iron Oxides]. Please Do Not use if you are sensitive to any of its ingredients. Packaging: When it comes to mascaras, their packaging doesn't differ all too much from each other. The most common kind, like this one, is in a long black tube with the brand and name printed on it. 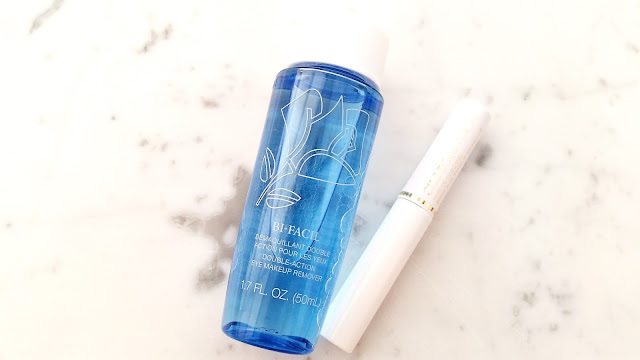 (In Lancome's case, their brand symbol is also etched on the top of the tube too.) The Lancome mascara looks like most common mascaras, even their wand looks pretty straight forward, albeit a little on the big side. The mascara tube came with the above box packaging, which has plenty of information about the product. Although the name of the color has the numbers 01 in it, black is currently the only color in this line. Maybe they'll release more colors if this one does well? Who knows. Scent: Some mascaras, like the YSL ones, comes with perfume like fragrance. Others, like the Lancome one, just have that typical mascara scent due to its ingredients. Texture: A super creamy formula that glides on easily and adheres nicely to the lashes. However, due to its texture, it can also clump if you apply too much. Left: without mascara. Right: with Lancome Monsieur Big. Michelle's Thoughts: I have mixed feelings about this mascara. As mentioned in the beginning of this post, the common deal breakers for me are when a mascara can't hold a curl, isn't volumizing, and it's not long lasting. Lancome's Monsieur Big Volumizing Mascara definitely adds volume to my lashes and it is long lasting for sure. However, the main issue lies in its inability to hold the curl. As you can see in the images above, on its own my lashes can hold the curls quite well. However, once the mascara is applied, it immediately starts to fall flat. I suspect the creamy formula is too heavy and ends up dragging the lashes down. Which is unfortunate because I quite like its long lasting and smudge proof formula. I have tried using the Monsieur Big with Lancome's base mascara but alas it seems the base was not able help the mascara hold the curl. Another slight issue I have with this mascara is its wand. It's on the big side which is also not ideal for my lashes, especially not for my bottom lashes. Due to the large size of the wand, it's hard to coat my bottom lashes well. So, I generally prefer mascaras with thinner wands for my bottom lashes. Anyways, this mascara certainly has its pros and cons. I think it would work better for people whose lashes naturally have a curl or whose lashes can hold curls well, so they don't have to worry about losing that curl when the mascara is applied. I probably won't purchase it in the future but I will use it every now and then. Hopefully, I can find a way for it to hold the curl better. Aside from Lancome Monsieur Big Volumizing Mascara, I also received deluxe samples of their Bi-Facil Double-Action Eye Makeup Remover and Cils Booster XL Super-Enhancing Mascara Base. Let's get to know them below. Product Info. : This is a gentle duo liquid eye makeup remover. The formula needs to be activated by shaking the bottle to mix the product. Once shaken, apply it on a cotton pad and gently cleanse away eye makeup. I used to use this eye makeup remover. There's nothing wrong with it and it really does remove eye makeup well. Depending on your budget, it can seem a little pricey but I didn't find that to be a problem. I moved away from this eye makeup remover because I had purchased other ones to try, that's all. I don't know if I'd ever come back to this eye makeup remover because I do like the ones I'm currently using. However, if I do have the Lancome eye makeup remover on hand for whatever reason I will use it. Product Info. : The Cils Booster XL is a lash conditioning primer that can condition and prime the lashes to keep the mascara on longer and help the lashes look more volumized. 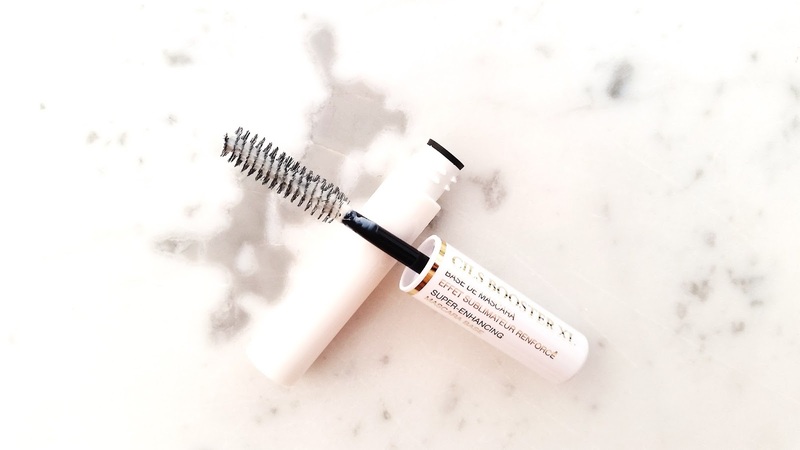 It's innovative formula contains Vitamin E to strengthen and nourish the lashes while it coats and smooths your lashes to maximize the results of your favorite mascara. I tried this mascara base in the past and honestly, I don't remember how I felt about it then which only means that it certainly didn't wow me. Otherwise I would remember. Testing it recently got me to realize why I didn't repurchase it the previous time. It doesn't do much for my lashes. It does condition it in a way if you will but it doesn't seem to volumize it anymore and in some cases it doesn't work well with some of my other mascaras. It's also quite pricey, pretty much the same price as a mascara. So, if it doesn't do what it promises it doesn't seem worth it. 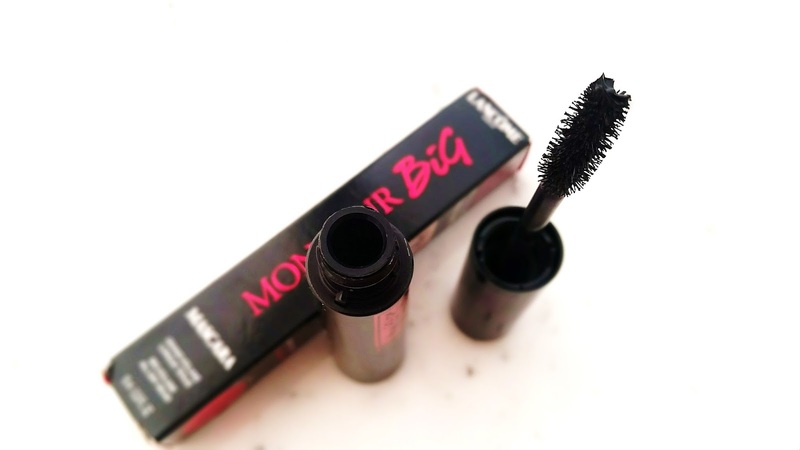 Final Thoughts: Overall, Lancome's Monsieur Big Volumizing Mascara can be a good mascara depending on your lash type. If holding a curl isn't a problem for you and you want what it offers, than you'll like its volumizing formula that's also long lasting and smudge proof. However, if you are like me and needs a mascara that can help hold a curl too. This mascara is probably not for you. Find discount codes on our deals and steals page! Follow us on our social media platforms to see what we are up to and get the latest news on beauty, reviews, & Momo! Disclaimer: This product was sent to me for review purposes. All opinions are honest and my own. This post contains some affiliate links, for more information check out the full disclaimer. Lancome monsieur big volumizing mascara is always awesome. Thanks to share this beautiful Mascara review. It's really helpful for eye makeups.I believe makeup is an important part of women's life. I love to use this Lancome monsieur big volumizing mascara for my eye and my favorite Liquid Matte Lipsticks for my lip. I can't imagine a single day without my makeups.